In April 2019, Carnival Legend is cruising out of Australia’s waters to bring her legendary cruise style to the rest of the world! So make sure you take advantage of the final opportunities to cruise the ports and islands bordered by the Pacific onboard. Discover the idyllic tropical islands of New Caledonia and Vanuatu from both Sydney and Melbourne, witness the natural beauty of New Zealand’s south island from Melbourne, or uncover the beauty of Australia’s own coastline. 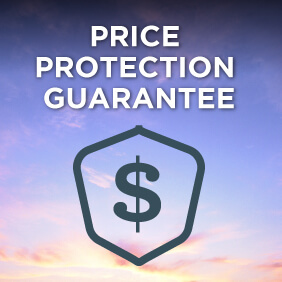 If you are new to cruising or looking for that special short celebratory cruise, Carnival Legend also offers a range of short Sea Breaks of three and four nights, predominantly from Melbourne. In April, Carnival Legend will embark on her final cruise from Sydney to Hawaii, to focus on destinations in the northern hemisphere. You could discover the rugged frontier of Alaska, cruise the man made marvel of the Panama Canal, breeze through the balmy islands of the Caribbean or explore the cultural ports of Europe and the Mediterranean over 9 to 12 nights. 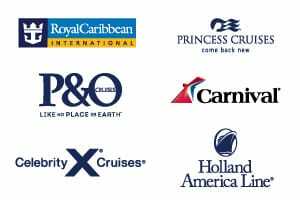 View the full range of cruises on the Carnival Legend, or check out Cruise Guru’s selection of the best Carnival cruise deals including huge savings plus shipboard credit, or view cruises and information on the Carnival Spirit which offers year round cruises from Australia. Legends are made, not born, and Carnival Legend is now even more deserving of its nameplate. This ship packs some of the newest, greatest features you’ll find across the fleet. If you’re looking to discover new legends, flip directly to the RedFrog Pub, featuring not only a mythical mascot, but actual drinks – plus Caribbean atmosphere by the gallon. Your heroic journey down the Green Thunder waterslide is a saga you’ll recount for ages. And Bonsai Sushi proves that you needn’t teach a man to fish for him to enjoy delicacies from the sea. This ship, which pays tribute to some of the most enduring legends throughout the ages, still features classic Carnival Legend favourites. Take a dip in the Camelot and Avalon pools, wish for fortune at Club Merlin Casino, and taste something savory at Truffles Restaurant. There’s more than one way to dine at Lido Deck’s Unicorn Cafe, and at The Golden Fleece Steakhouse, the great multi-course meal is no myth. Music lovers who go for the classics will love Billie’s Piano Bar. Kids will tell and retell their tale of their favourite holiday, spent hanging out and meeting new friends at one of three supervised youth areas. And adults can get lost in a good book, or just one anothers company, at the legendarily kid-free Serenity Adult Only Area… and then dance the night away at Medusas Lair Dance Club. Tossing dough is an age-old art passed down the generations. Lucky for you, someone passed us the secret to the perfect pizza. While aboard, this is the place that will shiver your timbers and warm you to the bone, 24 hours a day, with a Margherita, Funghi, Prosciutto, Pepperoni or Quattro Formaggi pizza. Savvy? Then it is the pirates life for you! Get a taste of the world as the chef throws the spotlight on a variety of dishes from different countries. Indulge in the foods that make each place famous and be sure to make this a delicious daily routine. The Carnival Cruise Empire dining room offers an elegant and relaxing setting in which to enjoy a full three course menu! It’s an experience that’s filling, but never stuffy – you’re just as likely to catch waiters table-dancing as you are to order dessert. Dessert’s included – along with the rest of your meal, by the way – in your fare. But don’t skip straight to dessert, because the main course is the main attraction; drop in daily and enjoy a rotating menu of delectable favourites, including steak, seafood and prime rib. Our kids’ menus, available at most onboard dining venues, feature foods that are delicious enough – and fun enough – to satisfy even the pickiest of eaters. We’ve got all the familiar options they love at home, like spaghetti and meatballs, chicken nuggets, hot dogs, mac-n-cheese, peanut butter and jam sandwiches and – yes mum – fresh fruit and veggies. They should save room for dessert, though, because with sweet stuff like banana splits and chocolate brownies, your young’uns are going to be pretty excited. There’s even 24-hour pizza and ice cream…but these are subject to bed-time, of course. Got room for dessert? Sure you do! Swirls ice cream lets you enjoy the sweeter side of brain freeze with a treat that’ll have you smiling from ear to ear. Choose from chocolate, vanilla or strawberry… or make your own mix swirled as high as you can balance it. Open on Lido deck 24/7. Chill out in this kid-free oasis aboard Carnival Legend that’s the hub of relaxation for adults. Kick back under the shade of a big umbrella and just relax! Take in the ocean view or hop in the hot tub; whatever your fancy. Feeling lucky? Sure you are. Try your hand at poker, blackjack, roulette, craps and more – Just a sampling of the games Carnival Legend’s Club Merlin Casino has in store. Meet, greet, chill and chat at the Carnival Legend Atlantis Lounge. It’s a cool place to have a drink, tell friends a joke, listen to live music and laugh till dawn. Check out Carnival Legend’s Billie’s Piano Bar for the ultimate in fun. Listen to live music, make song requests, sing along or just chill with others. Follies (main show lounge) – Sit back and enjoy the performance, where every night aboard Carnival Legend is an extravaganza. 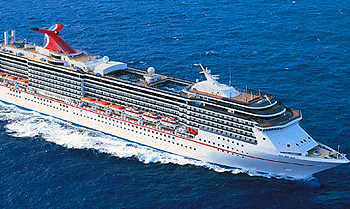 The Carnival Legend Dream Team (sports bar) – Cheer your home team to victory or just catch up with friends. The intimate ambiance and mouth-watering favorites at the Carnival Legend’s Golden Fleece Steakhouse will make this a truly memorable meal. Choose Early (6 p.m.), Late (8:15 p.m.) or Your Time (5:45 p.m. to 9:30 p.m.) dining in the Carnival Legend main dining room and feast on culinary pleasures to your heart’s delight. The place to be a aboard Carnival Legend for teens 15-17 – They can enjoy their own cool parties, movies and shore excursions. It’s everything they love about summer camp and their favourite babysitter, all in one! Camp Carnival® offers tons of activities designed for children in three different age groups: 2 to 5 years, 6 to 8 years, and 9 to 11 years. Wanna splish – and splash – the day away? Head on over to Carnival WaterWorks, our onboard waterpark. First up, there is Carnival’s Twister Waterslide, hundreds of feet of spiraling awesomeness that starts you off high in the air and gets you down low with one of the fastest, wettest rides you will find anywhere. You’ve played Connect 4, but have you ever played giant versions of them onstage in a competition that puts your gaming skills to the test? You’ll have your chance when you take part in Hasbro, The Game Show. From SORRY! SLIDERS to CONNECT 4 BASKETBALL, OPERATION SAM DUNK and SIMON FLASH, you can team up with your friends and family to win great prizes, all in front of a live audience. Be sure to check your daily onboard itinerary for show times so you don’t miss out on the action or the prizes. Somebody at Carnival knows just what you need, and it’s the Adult-Only Serenity Retreat. You’ll still be on the same ship as the kids, the hoopla, and all the Carnival-style excitement… but you could easily forget, because when you’re at Serenity you could not be further from it all. You’ll find yourself with sea breezes, swaying hammocks and, of course, a nearby bar. It’s the place to get done the kind of stuff you just can’t seem to do anywhere else – reconnect with your partner, finish that book, lavish some spa time, or do absolutely, blissfully, nothing at all. When was the last time you got up and danced at the theater? Playlist Productions takes tunes you know and puts them live on stage, transforming them into full blown musical productions featuring pro singers and dancers rocking the house. Grab the mic and channel your inner rock king, pop princess or disco queen, when you join in the karaoke fun aboard Carnival cruises. Choose from traditional karaoke or our Superstar Live Karaoke, where you don’t just pick the song you want to sing you perform it backed by a live band playing guitar, bass, drums, keyboards and, yes, even your own back-up singers! Whichever karaoke experience you choose, choose from hundreds of titles that span a wide variety of genres, from pop hits, country and rock classics. Play it again, Sam. Or Diana. Or whatever your name is. Because this is the bar where you call the shots and the songs. Pull up a seat, order your favourite cocktail, and let your friendly piano player know which songs you’d like to hear. Then join the sing-along for a hand-clapping, foot-tapping, finger-snapping good time. Don’t feel like flexing your vocal cords? No worries. Shy songbirds are welcome here, too. And since it’s open from early evening to late at night, it’s the perfect spot for a before-dinner drink or singing ’til the wee hours of the evening.